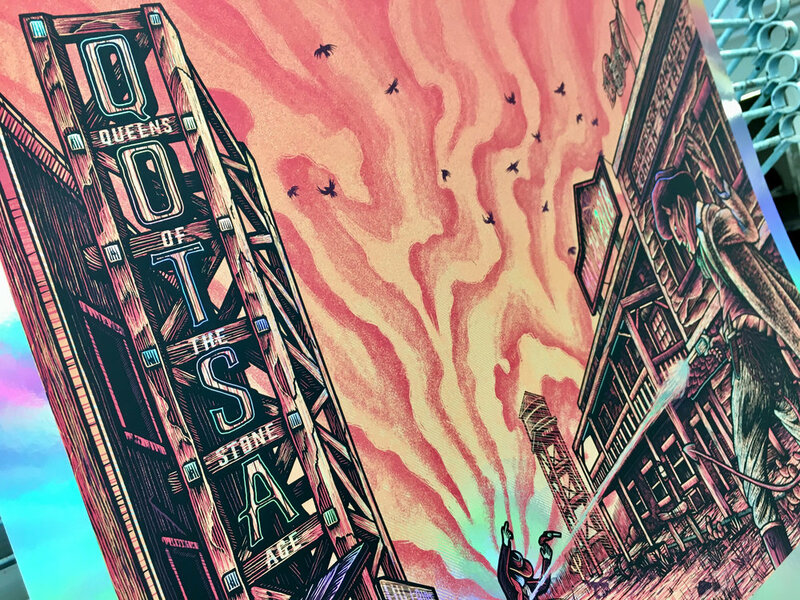 We're absolutely beyond thrilled to have had the chance to create a poster for the absolutely legendary Queens of the Stone Age, during their 2018 Villains world tour. I'm not even gonna skirt around it, this is by far the biggest band we've ever done work for; without a doubt. A hundred thanks to our friends at Livenation for entrusting us with this mighty task, was a whole lot of fun to work on! Foil variant was an edition of 30, printed in Michigan by the wizards of screenprinting - Endhymns.